Ah, real-time co-op board games. Some people love them, some people definitely do not. Most of the folks I play games with fall somewhere in between those two groups. However, we’ve had quite a few memorable experiences with these games. Even though I’m not a big fan of real-time games, I do think it’s worth having at least one on your shelf for when you want an intense challenge that requires a lot of teamwork. Plus, these types of games are so different than everything else that’s out there and are sometimes the best way to get people into modern board games. Oh, and you rarely have the alpha player problem in these games, which is awesome. This is the one list that could change a lot as time goes by. There really aren’t that many real-time cooperative games out there right now (that’s why this is a top 5 and not a top 10 list), but it looks like a lot more are going to be coming out in the next year or two. UBOOT: The Board Game is an example of one that a lot of people are looking forward to. 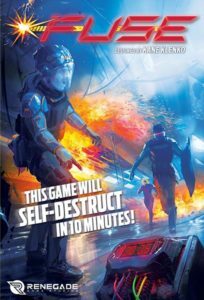 Some games that we haven’t played or reviewed yet that could end up on this list include Dungeon Time, Doctor Panic, Space Cadets, and London Dread. So, here they are… our Top 5 Real-Time Cooperative Board Games! 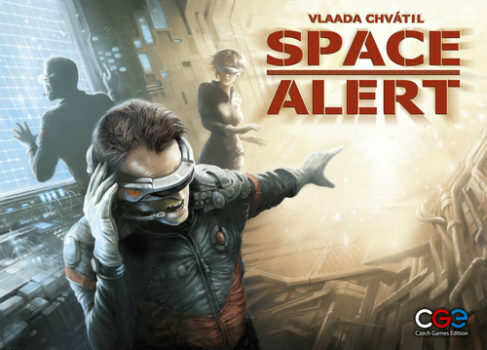 Space Alert was the second real-time co-op I ever played (after Hoopla), and it was a pretty amazing experience because it was so different. My group played Space Alert so much that it did start to feel repetitive, so it would probably be closer to the top of the list had we made these rankings a few years ago. I think a lot of people would still say Space Alert is the best real-time cooperative board game out there, and for good reason. It’s definitely worth checking out if you like programming games like Robo Rally and the space theme. Get your copy of Space Alert here! 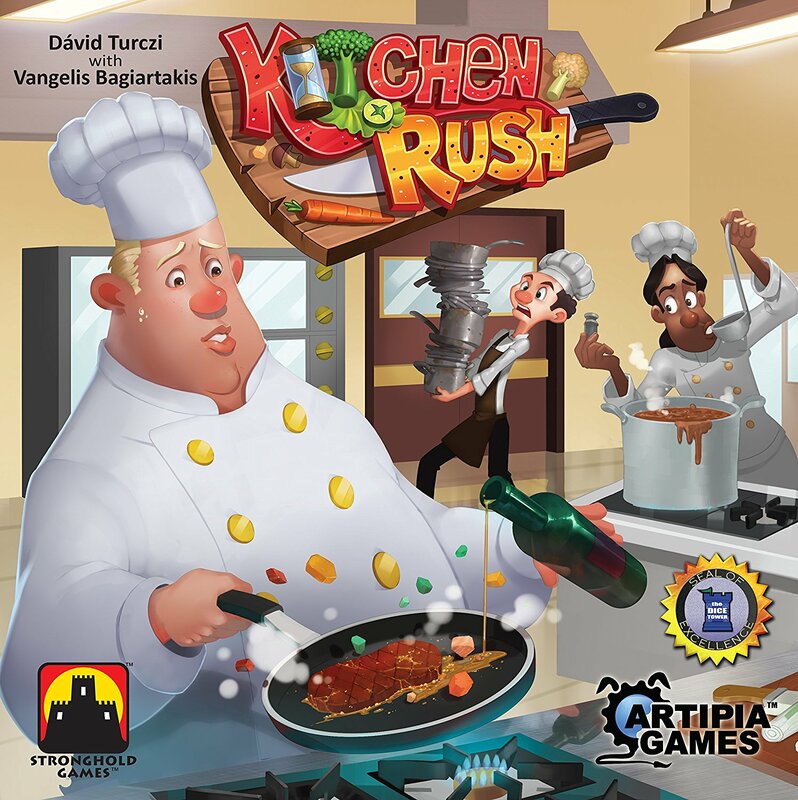 Kitchen Rush is definitely the game to get if you want a cooperative game with a restaurant theme. You run around the kitchen trying to fill orders while at the same time helping your teammates get what they need. 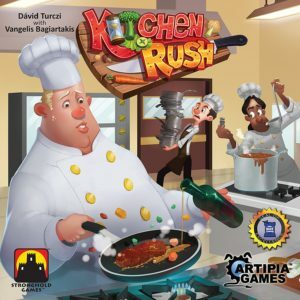 This game combines real-time and worker placement perfectly and is an excellent choice for people who like chaotic and tough co-ops. I’d also suggest this one to anyone who is looking for a solo real-time game. I honestly haven’t met anyone who didn’t enjoy this game. FUSE was a pretty big hit with my group when we first played it and we still have a lot of fun playing it after all this time. It’s portable, it’s quick, the app helps to ratchet up the tension, and the theme just works for this type of game. We haven’t had a chance to play Flatline: A FUSE Aftershock Game yet, which is another real-time co-op from the same designer, but it seems like a lot of people like that one even more than the original FUSE. Get your copy of FUSE here! Magic Maze definitely brought something new to the real-time genre in 2017. You don’t talk to each for most of the game and everyone is controlling all of the characters. It’s chaotic, super fun, and I really like that it introduces new rules and challenges as you get past each scenario. This is not the type of game that is going to hit the table often for my group (same goes for all the games listed above), but everyone I’ve played Magic Maze with has enjoyed it and it’s different and fun enough to earn a spot on my shelf. 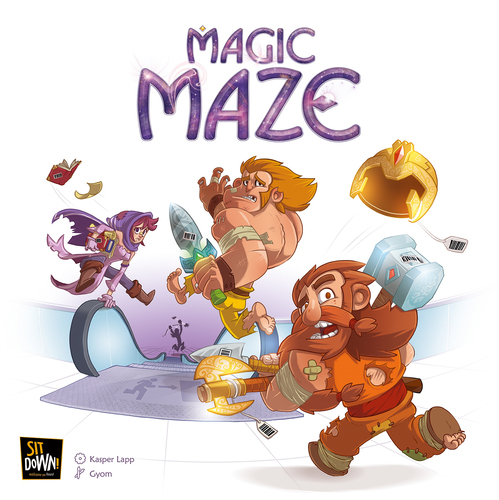 Get your copy of Magic Maze here! 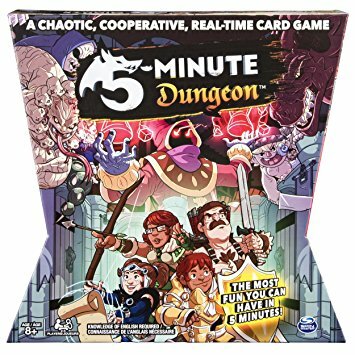 In my group’s opinion, 5-Minute Dungeon is the best real-time cooperative board game… and it’s not even close. It’s easy to learn how to play, it’s quick, it’s intense, it’s challenging, and the artwork is great. This is the one game on this list that everyone in my group would be happy to play on any game night. If you’re interested in getting just one real-time cooperative game for your collection, this is the one I’d suggest getting. It’s especially good at three and four players, but it’s solid at all player counts. Get your copy of 5-Minute Dungeon here! What are your favorite real-time cooperative board games? Let us know in the comments!